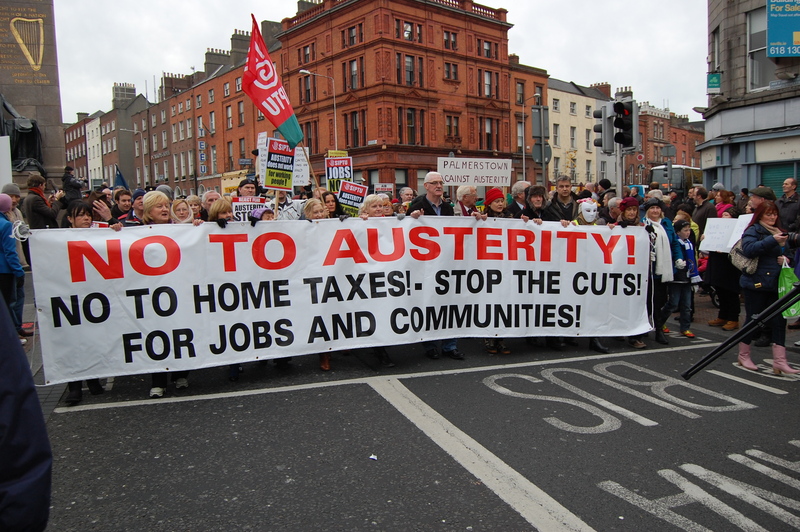 This entry was posted in Austerity, Demonstration, Dublin, Resistance, The Left and tagged Austerity, demonstration, Dublin, Resistance by irishmarxism. Bookmark the permalink. No such hurdles have to be overcome for ICTU to enter talks with the government without preconditions or prejudice on 1billion cuts in the public service pay bill plus the other 2.5 billion cuts in services and tax hikes. No mandate is required for selling out workers. Its the same pattern after every mobilisation the unions enter talks and deliver a fait accompli. 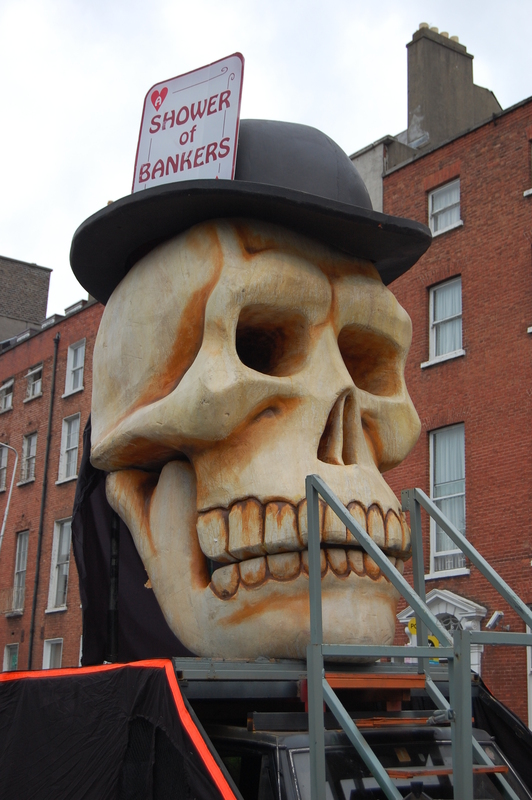 Union compliance with the next phase of impoverishment demanded by the troika. 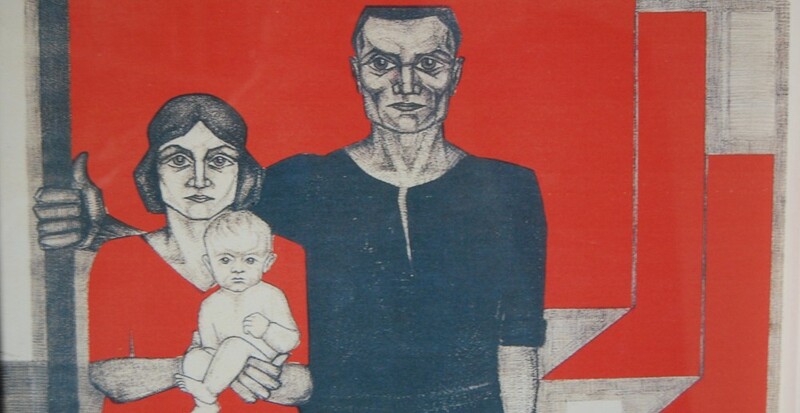 It was amusing to hear reported on the 6 0′ clock news on RTE that he had called for a general strike and the immediate response from the other union leaders dissociating themselves and denouncing his solo run. Brid Smith’s intervention to silence the crowd to allow Mc Glone to lecture us was misjudged, the misreporting of what he actually said got her off the hook and inadvertently became the story of the march. RTE and the righteously irate sections of the crowd rained on his parade rather than the ULA or Sinn Fein. 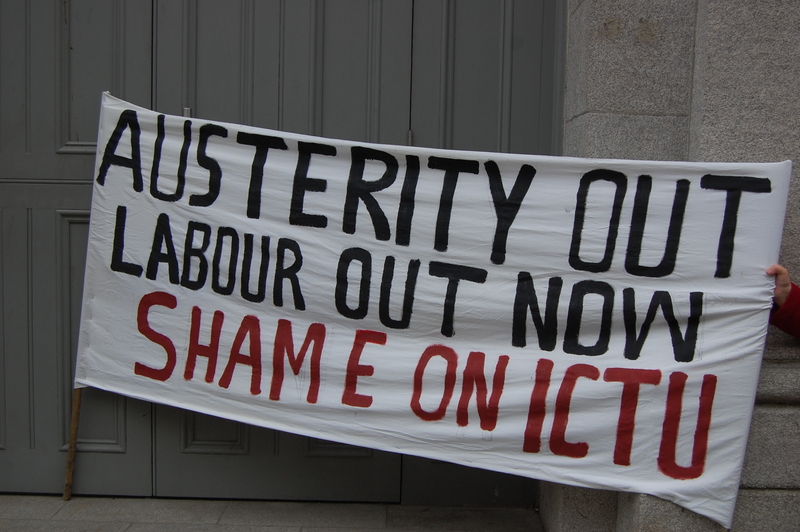 Instead of denouncing O’Connor for suggesting that the workers who heckled Mc Glone were of a fascist inclination rather than rightly pissed of at their austerity partnership they are both panicking somewhat in the aftermath and definitely will not be around when the Public Services ctte. 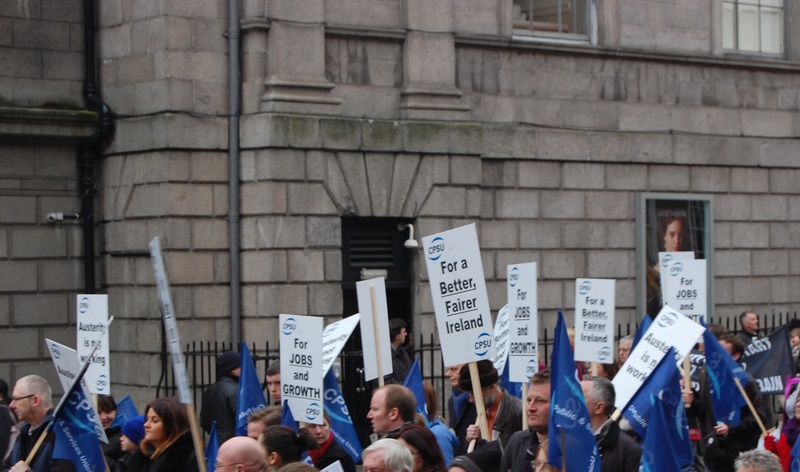 of ICTU meet the government this week to discuss the 1billion cuts in the public service pay bill.